Elite Systems are legendary for their contribution to the world of video & computer games around the world, from the early days of the Sinclair Spectrum (1980's) right up to current day smash hit mobile device releases. Trivia: In 1984, its year of incorporation, Elite was a principal pioneer of the concept of combining game software and intellectual property. Since then Elite has developed some 75+ game titles comprising some 200+ product s.k.u's, whilst working with a multitude of leading global brands. 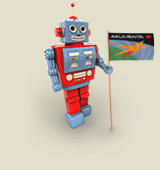 Intelligent content planning: After reviewing Elite's significant amount of potential content it was decided that their online presence should chiefly comprise of THREE key areas: This would include an 'End User' area for customers, a corporate partner area, and numerous individual game microsites designed to briefly showcase each current game release. Before we begin to even contemplate the design or structure of any Website we carefully address the issue of how the content will be suitably organised and eventually presented online. Good content planning ensures that we design accessible Websites with clear-cut navigation and uncomplicated well laid out structures. 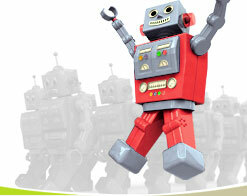 As a result visitors are able to find the information they want without any apprehension, delay or frustration. Original custom design & build: Embracing Elite's existing well known logo design and all of their specific requirements, our goal was to create an engaging and friendly online presence that serve as an attractive and valuable resource for both end users and also corporate partners. As with all of our work, this site and all of its various elements were all painstakingly custom crafted from the ground up to encompass our clients every need. 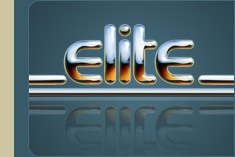 Custom graphics and artwork: Various original key graphics & images were created for Elite. Custom created Flash navigation feature: We created the main navigation using a splash animation, partly based on Elite's classic logo design. Multi-platform availability: Elite's Website is also available as WAP site facility via mobile phones. A vast online catalogue / database: Providing visitors with details and images of many past and present game titles. Integrated Web & WAP shop facility: Enabling customers to purchase games both online and via their mobile phone. Various special 'active content' promotional features: Including a 'Hot Titles' promotion, News, and Recruitment. A specialised collective data storage & sharing facility: A secure facility enabling collective product development with Elite's corporate partners based around the world. Three different automated enquiry submission forms: Customer enquires / corporate enquiries / A&R enquiries. A sophisticated custom tailored content management system: The majority of above features are all collectively managed via a specialised and comprehensive content management system, once again custom written entirely around Elite's needs. This facility enables Elite to manage the majority of their own online content with instant effect 24/7. Amongst just some of its features is a flexible image uploading & format conversion facility, a custom written spell checker and online help tips for every individual aspect of the CMS. Web hosting and housekeeping services - an ongoing commitment: Through our own fast and reliable professional hosting services we successfully deliver the Elite Web presence around the globe. Although Elite also have a comprehensive content management system in place, (so that they can manage their own online content), they also like to take advantage of our generous housekeeping services when they are particularly busy with critical projects. We are of course always pleased to assist with Elite's content updates as part of our standard annual hosting remit.